The Denver Nuggets prepare to visit the Washington Wizards as they continue their hot pursuit of the Golden State Warriors at the top of the Western Conference playoff standings. The Nuggets have a 47-22 record this season and are the second best team in the West. They are just 0.5 games back of the Warriors and still have a game left against them. 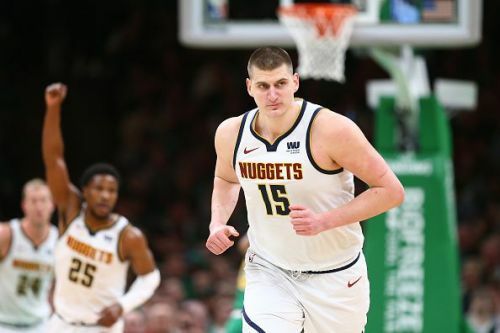 Nikola Jokic has been absolutely superb for the Nuggets this season. He is having a MVP caliber year for the team and is the major reason for their success. He is averaging 20.3 points, 10.7 rebounds and 7.5 assists per game for the season. He has also been great for the team during clutch situations. He has received very good help from his supporting cast. Jamal Murray has been having a terrific year. Paul Millsap and Gary Harris have also been good. The Wizards lost their match tonight against the Bulls. They have a 30-42 record and are 5.5 games back of the 8th and final playoff spot. Bradley Beal has been having a career year for the team. He is averaging 26 points, 5.2 rebounds and 5.6 assists for the team and has been the most impactful player in the absence of John Wall. Bobby Portis has also been very good since his trade to the Wizards. Denver Nuggets: Jamal Murray (PG), Gary Harris (SG), Will Barton (SF), Paul Millsap (PF), Nikola Jokic (C). Washington Wizards: Bradley Beal (PG), Tomas Satoransky (SG), Trevor Ariza (SF), Jeff Green (PF), Bobby Portis (C). The Nuggets are having an absolutely superb season and won their last match at the Celtics. The Wizards are playing on the second night of a back to back and fatigue might become an issue. I predict the Nuggets to come away with a win in a tight match against the Wizards.